Over the past twenty-five years Gary Ferguson has written for a wide variety of publications, from Vanity Fair to The Los Angeles Times. 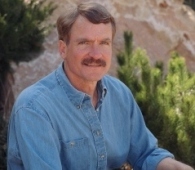 He’s also author of 18 books on science and nature, including the award-winning Hawks Rest, published by National Geographic Adventure Press, as well as a keynote presenter at conservation and outdoor education gatherings around the country. He is currently on the faculty of the Rainier Writing Workshop Masters of Fine Arts program, at Pacific Lutheran University. Gary’s newest book, just completed and currently in production, is called The Carry Home. The work is a celebration of the outdoor life shared between Ferguson and his late wife Jane, who died tragically in a canoeing accident in northern Ontario in the spring of 2005. Meanwhile Gary’s biography of the late naturalist John Ripley Forbes – arguably the man most responsible for bringing nature experiences to America’s urban kids – will arrive in the the summer of 2011. Ferguson first answered the call to adventure at age 12, loading up his purple sting-ray bike with camping gear and riding with his older brother through the central Midwest. By age 18, bicycles had given way to boxcars and backpacks, as he made his way across North America by rail and by thumb – as often than not heading west, and heading for mountains. After working as an interpretive naturalist for the Forest Service, at age 25 he plunged full-time into the freelance writing life. Soon thereafter his work found a home in the national media – both his personal profiles of American nature, as well as a wide range of social and environmental stories from Europe, Africa and North America.